Happy Hump Day! Sorry I haven’t been posting as often lately. It seems that every time I start to feel a little better another cold/flu comes and knocks me back down again. Since I’m continuously sick I need to start pushing on with it to try and get some order back to my life, but dang do I get exhausted lately. 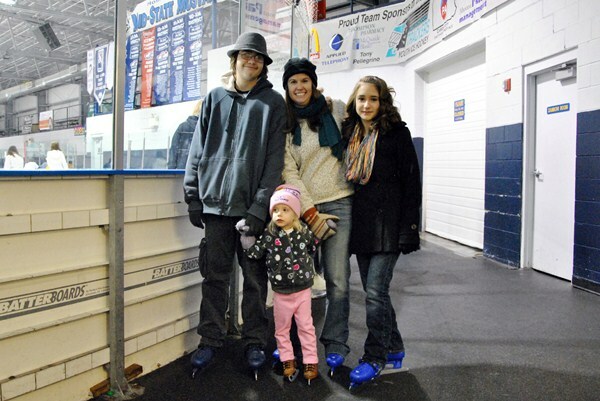 I felt a little better last Sunday so I went with my sister and her family to the local ice skating rink. 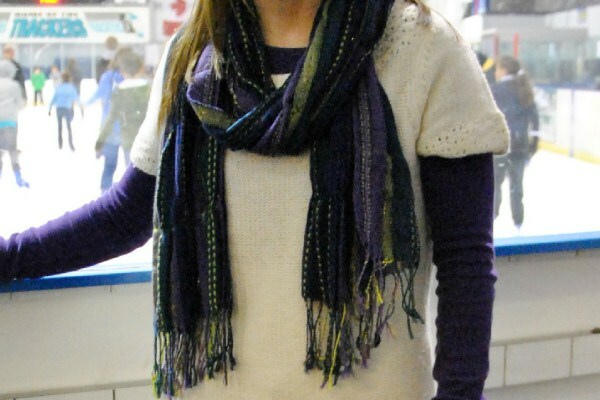 I dressed in layers since I knew the rink would be chilly and loved the pairing of the simple chunky sweater over a purple t-shirt, and then popped the color with a scarf. 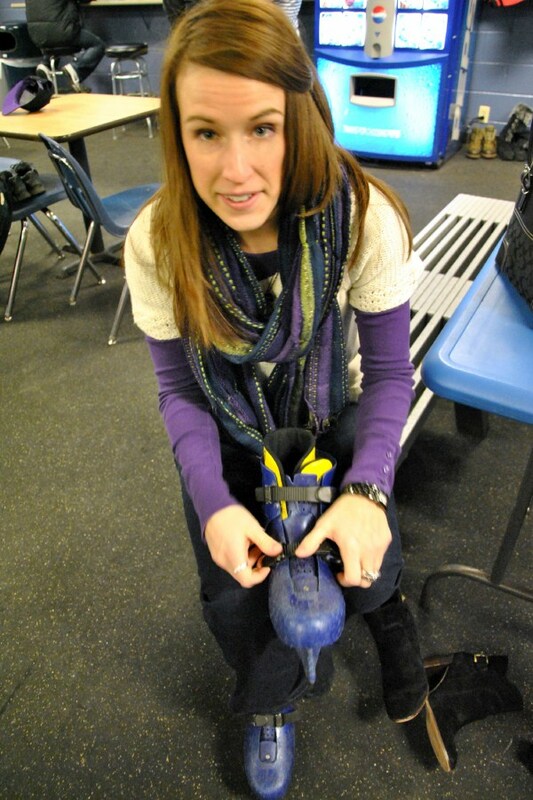 I have not been on a pair of skates in over 10 years, and I was surprised at how quickly I picked it back up. 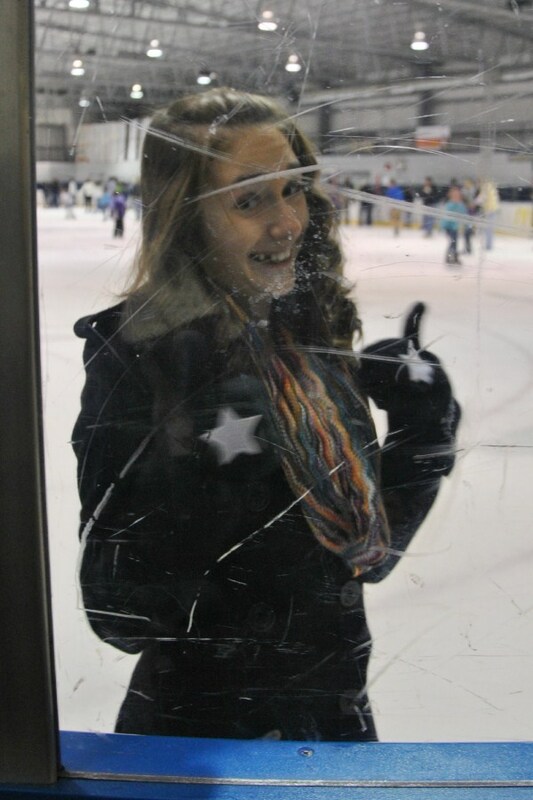 By the end of our time there I was skating with both feet and not holding onto anyone! 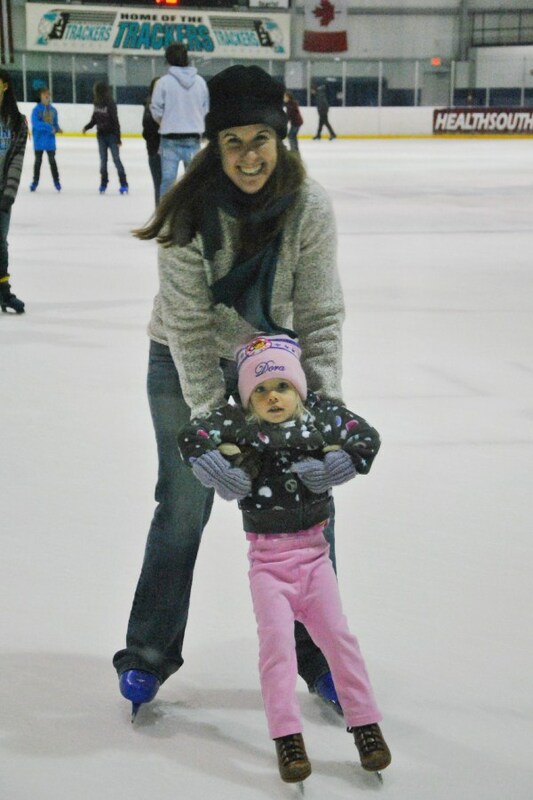 Being back on skates reminded me of my child hood when I was determined to be an Olympic ice-skater like Oksana Baiul or Nancy Kerrigan. However, flooding my backyard to create a skating rink wasn’t the smartest way to get started. Have you recently done something that reminded you of your child hood?